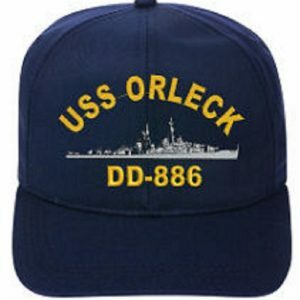 Many people including myself, Bob Orleck, had always wondered why other ships had reunions of men who had served on them and the USS ORLECK did not. 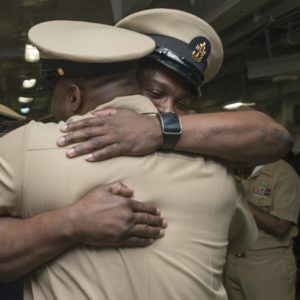 Then I he saw a letter to the editor in the TIN CAN SAILOR newsletter from a former crewman on the USS ORLECK, Phil Klotz, who was wondering the same thing. I couldn’t wait to call Phil and together we started things rolling. It wasn’t until another crewman, James Allison, who was very good at searching out previous crewmembers, came aboard that the group really grew large. The SCUTTLEBUTT came out of this as well and filled with photos and letters from shipmates, the organization flourished. From the time in the 1980’s until present, the USS ORLECK ASSOCIATION has continued to grow and now claims to be the ‘Biggest and Best Destroyer Organization in the World.” They say, “No boast, just a fact.” With over 1400 members the Association meets in reunion every two years. The Association is dedicated to telling the story not only of the ship but also more importantly of the men who served in her. The task is driven by the belief that the ship was nothing more than a hunk of metal but was made what it was and is by the men who served in her. The primary emphasis is in getting the history from the men and preserving it. It is to get the essence of what gave the ship a personality, a life and if you will, a soul. The fate of the USS ORLECK was called into question after having been struck by barges during Hurricane Rita. If you have followed the situation with our ship over the past 11 years you know that there were many ups and downs and mixed blessings. The Turkish Navy gave us a wonderful opportunity to have the USS ORLECK back before she was stripped of many valuable pieces of equipment. I know that for a fact because I was in regular contact with our friends over there. However, the ship was out of our hands even though it was our group that was responsible for the Turkish government giving the ship back. Many of you supported the ship in many ways. You went on strip trips to gain valuable items for her restoration, you gave money, and you gave of your time to go on field days to do much needed work. Through EPIC* you accomplished much in support of the ship during some rough times. Even though our organization had very little say in what was done or where the ship went, we did stay engaged and raised money and supported the lawsuits (in fact we totally funded them) (and we bought the insurance that let to the ultimate recover of funds by SETWM&HF) that occurred due weather and hurricane related damage. There were many issues dealt with surrounding the lawsuits to recover damages to our ship, finding a new mooring site and even a new city for USS ORLECK. The work on these matters drew a great deal of energy away from our primary mission as stated above. The effect is most felt in the SCUTTLEBUTT production. Now there are other issues that are affecting the production of the type of newsletters we became accustomed to and enjoyed. Flooding in Vermont recently and in the past knocked out the capabilities of our printer. There are other printers but I have not been able to get a price for printing even close to what they gave us. Getting the newsletter back on-line is still being explored and hopefully we will find some answers. Much has happened in the past few years. It is clear that your ship means so much to you and our Association and its members did what it and they could to be involved in her preservation and restoration. The things you did that are mentioned above are the reasons our ship is still in existence. Without you and your support, I know she would be gone. However, she still has life and is being operated under new management. SETWM&HF no longer exists and our ship is in Lake Charles being operated by a new corporation with different officers. They have a definite desire to do the best they can and to preserve her. They have done a lot of work and reports I have received are positive. Mr. Ed Martin from Lake Charles and others have worked hard, in spite of a lack of support from the city itself, to get her operational as a museum. I know many of you are aware of our attempts to get our ship to North Littlerock, Arkansas where she would have had a fine facility to operate her and a city who really wanted to have her. While many of us believe that should have been where she went and that it was possible, she is not there and is presently in Lake Charles and I am sure she would love to see you. I know you would be well received by the group there so please plan to visit her and involve yourself in anyway you feel led. 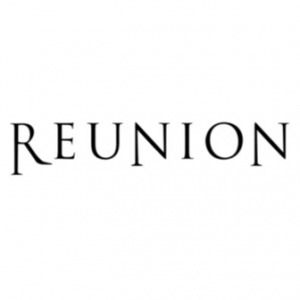 It needs to be stated, however, that the men who served aboard USS ORLECK are the most important part of the ship and that is why our emphasis will stay with our Association as we continue to do reunions and hopefully newsletters and a website. I would encourage you to review the many fine things in this site including the deck logs (37 years of USS ORLECK history on-line and searchable, our on-line roster, our interactive forum, history, stories, information on your Association and the like. While we no longer are engaged through EPIC” and no longer doing strip trips we know the ship is important to each and every one of you and we will try to keep you informed and stay engaged in a different way as she is developed into a museum in Lake Charles. 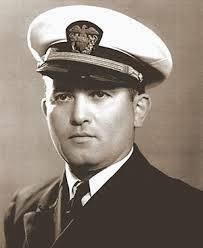 Again, however, it needs to be clearly stated our focus will always be on the men who served their country aboard USS ORLECK and any actions taken will have their interest in mind.